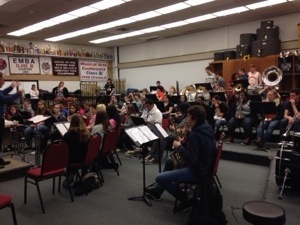 Naugatuck band students have been practicing hard and getting ready for the Borough Festival. 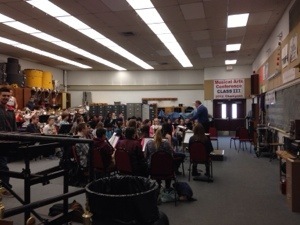 Pictured below are students in the Borough Festival Wind Ensemble practicing for this Friday’s performance under the direction of Gary Partridge. Concert will be held Friday, April 25, 2014 at 7PM in the Davis auditorium. Please have your child arrive at 6:00 that evening. Tickets will be sold starting at 6:00. Price for tickets are $3.00 per person with a cap of $10.00 per family. The High School has started their renovations. There will be limited parking at the school for this event. We ask that if you can car pool, please do so. Also, the BOE will have two extra parking spots (Andrew Avenue School and Western School) with a shuttle to NHS. The bus will be available starting at 6:20 and leaving at 10 minute intervals. They will also shuttle back to the schools after the performance. The Naugatuck Borough Music Festival was a huge success. Below you may listen to the outstanding performances by each of the ensembles. Please click on the link below for the final borough festival letter. 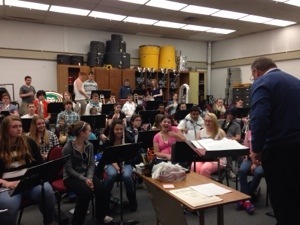 Concert will be held Friday, April 26, 2013 at 7PM in the Davis auditorium at Naugatuck High School. The High School has started their renovations. There will be VERY limited parking at the school for this event. We ask that if you can car pool, please do so. Also, the BOE will have two extra parking spots (Andrew Avenue School and Western School) with a shuttle to NHS. The pick up times at these schools will be 6:15, 6:30 and 6:45. They will also shuttle back to the schools at 8:00 and 8:15.